Three nights starting on December 30, at either the The Huntley Hotel in Santa Monica or The Crowne Plaza Redondo Beach. The Huntley is a short walk to the ocean, Santa Monica Pier and The 3rd Street Promenade where there are many restaurants and cafe's. The Huntley has a really nice restaurant and lounge on the top floor of the hotel with a panoramic view of the ocean. Santa Monica is 10 miles North of the LA Airport and is 3 miles from Beverly Hills and Rodeo Drive. The Crowne Plaza is 7 miles South of the LAX Airport and is across the street from the marina and ocean. The Crowne has a rooftop pool deck with a panoramic view of the ocean and a large heated swimming pool. There are also several nice restaurants across the street from the hotel. Our clients have been happy with both hotels for past events. 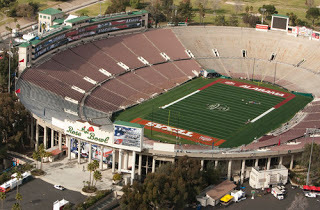 Ticket to the Rose Bowl - Game ticket options are oulined below. Ticket to the parade- A reserved grandstand ticket to the Rose Parade 10 minutes from the front of the parade with the sun at your back. The seats are located at 318 West Colorado. The parade will get to these seats at 8:15AM and the parade will end at approximately 10:10AM. The group will have plenty of time to get to the stadium. Admission to a float decorating barn in the city of Irwindale on the early morning of December 31. If staying at The Huntley the departure time is 6AM and back to the hotel about 9:30AM and if staying at the Crowne the departure time is 6:30AM back to the hotel about 10:30. 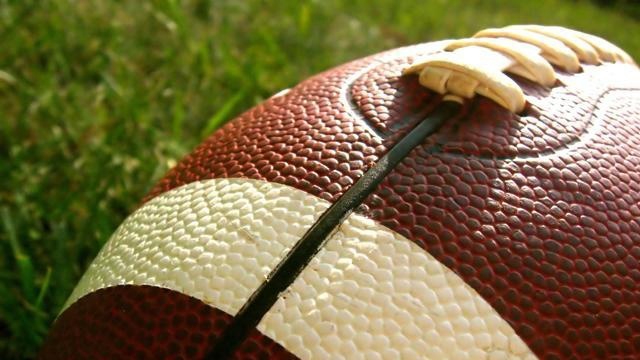 Transportation to and from all of the Rose Bowl events on deluxe motor coaches with a restroom. Rose Parade Program and Rose Bowl Football Program. A grab and go continental breakfast prior to departing for the parade and game. Pre-game Fan Experience located within the official Rose Bowl hospitality village, directly outside the Rose Bowl in Lot H. Guests will have access to a cash bar and food concessions. 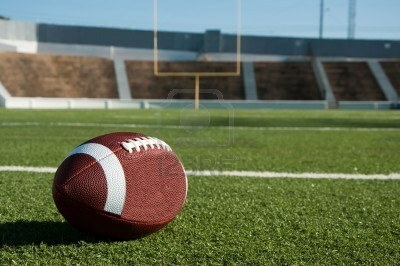 The sports bar also has live entertainment, interactive activities and much more. Tour hosts who are with the group at the hotel and at all events. Great Service- 20+ years in business- If you are looking for personalized service and great quality where your individual needs are accommodated please contact Eldon Diamond the owner. -Additional Tour options: City Tour of LA, Getty Museum, Universal Studios, Disneyland and much more! All of the above attractions can be arranged for you with transportation directly from the hotel. You can deduct $75 per person if making payment with a check vs a credit card. 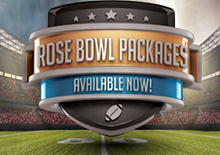 A $250 per person deposit secures your Rose Bowl Package with the balance due by October 1. You can cancel for any reason until October 1 and receive a full refund. Once October 1 has past the trip becomes non refundable. All Rose Bowl Package prices are per person based on double occupancy. The deduction for triple or quad occupancy at The Crowne Plaza is $225 per person and the deduction at the Huntley Santa Monica is $350. If traveling single the add on at The Crowne Plaza is $300 and the add on at Huntley Santa Monica is $750. All prices outlined include all fees, taxes and shipping. Extra nights hotel are available upon request. The extra night rate at The Crowne Plaza Redondo Beach is $275 and the extra night rate at The Huntley Santa Monica is $425. These rates include tax. ALL PACKAGES WILL BE SHIPPED VIA FEDERAL EXPRESS TO ARRIVE BETWEEN DECEMBER 19 AND 21.. The above package prices DO NOT INCLUDE AIRFARE. When booking your flights you should fly into LAX. The above package prices DO NOT INCLUDE AIRPORT TRANSFERS. A cab ride to the Crowne Plaza will run $35- $40 and a cab to the Huntley Santa Monica will run $55- $60. Neither hotel has a airport shuttle. Please be sure to see several testimonials for Diamond Travel on the Better Business Bureau logo link at the bottom of the page.